Self-esteem refers to the opinion you have for yourself. If you feel you’re competent and kind, good looking, or capable of doing things, this is a sign that you have high self-esteem. But, if you have negative opinions about yourself and feel that you cannot do your tasks like others do or do not look good, you have low self-esteem. Sometimes, low self-esteem becomes the cause of anxiety and depression. Therefore, self-esteem refers to how you think about yourself, how worthy you think you are and how much importance you give to yourself. It’s not about bragging about yourself, but knowing that you can do your best, even if you’re not perfect. It’s easy to increase your self-esteem, but it’s important to keep maintaining it… as with everything there are ups and downs so to keep your self-esteem high you need to keep focused on keeping it high. Simply add a few new habits in your daily routine and it’ll become easy to boost self-esteem. 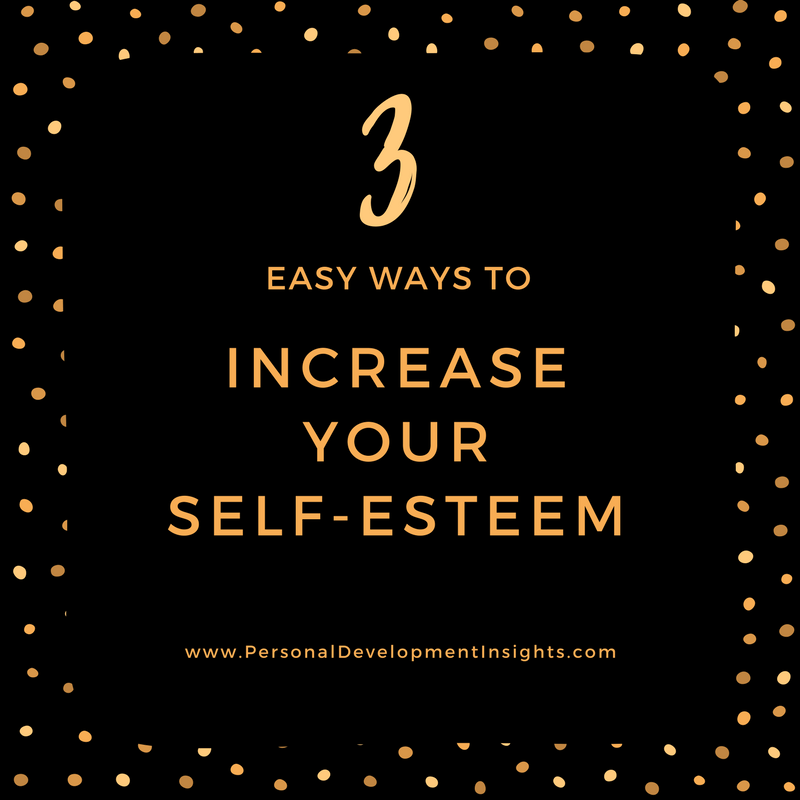 Here are 3 easy ways to boost your self-esteem. 1. Jot down the things that make you feel good about yourself, the things that you have done, and the compliments that others have given to you and this will make you feel good about yourself. If you’re an office person, stick notes to your computer or desk “I’m doing well” or “I can do it”. These messages will be absorbed by your mind. Everyone is gifted with the power to do great things. Everyone is worthy and see to it that you keep these things in mind. Soon, you’ll feel confident and happy. 2. Stop the cycle of negative thinking. Negative thinking and doing often knocks your self-esteem down. When you’re feeling bad about life you usually feel bad about yourself. When you catch yourself thinking bad thoughts tell them to STOP – do this by saying STOP in your mind – and then replace that thought with a positive one. This also helps stop the habitual habits you’ve inherited from your past. 3. Live life in the present moment. Feelings of low self-esteem and self-doubt are often attached to the memories of the past. These memories will probably be about a time when someone told you that you weren’t good enough or a time that you failed to accomplish something. If you keep on thinking about these things, you’re only attracting the negative energy that fuels your self-doubt. Do not live in these moments; think about the person you are in the present time. Just because you could not accomplish something in the past does not mean that you cannot complete it in the future. Each day is a new start and a chance of doing what you really want for real. There are many ways to keep your self esteem on the high side and everyone soaks up information differently so if you want to explore the topic further feel free to download the SELF ESTEEM GUIDE in our shop. This entry was posted in Personal Development Resources, Self Improvement and tagged boost self esteem, increase self esteem, personal development tips, personality development, personality development tips. Bookmark the permalink.